Yep it's that time again and I am still working on the same old stuff.......what's a girl to do? Make more WIPs or keep going on the same ones? Or do I stay up all night and finish the ones that are started, so I would have a reason to start something new? I told myself this year I would use up my stash and not make so many UFO 's. I have sorta stuck to my plan....I only bought fabric for my Get Your Hex On quilting bee and one oops because I thought it would be a good coordinate for the other fabric turns out Avignon does not match Polka Dot Stitches AT all!!! 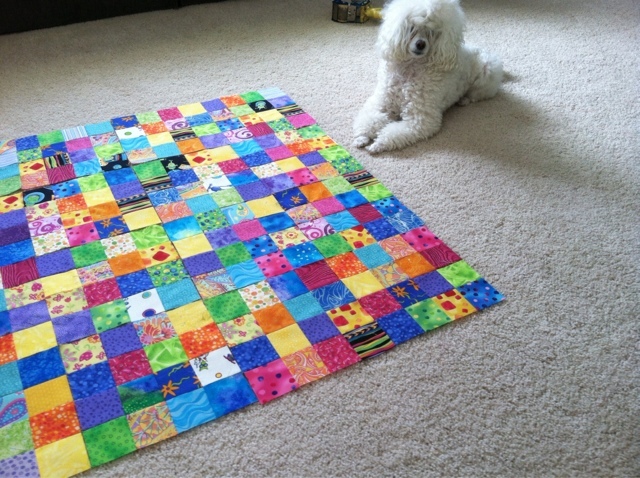 Oh and one charm pack of noteworthy, again I thought it would have some good blenders to match Hex quilt. So that plan is on track.....and I haven't stated any ore UFO's. so that goal is on track. But this makes blogging pretty boring, right? So what's a girl to do???? send me some suggestions!!!! I need some inspiration!! 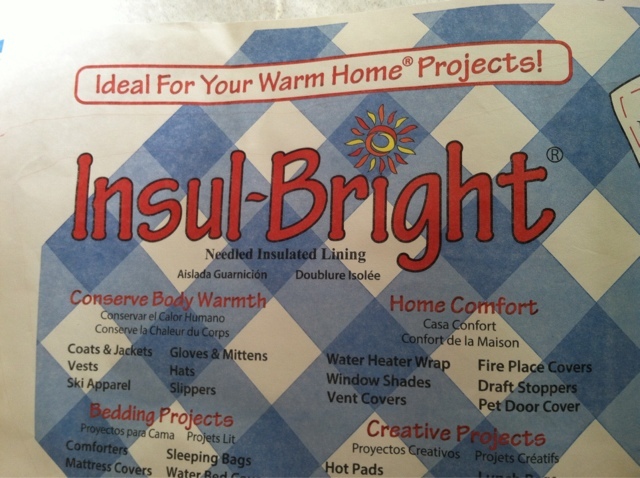 Well I caved and bought some insul-bright. I am going to make up some oven mitts for my daughter...and I didn't buy any new fabric!!! I think you hit the nail on the head with swaps. They are a great way to inspire (and complete) small projects!